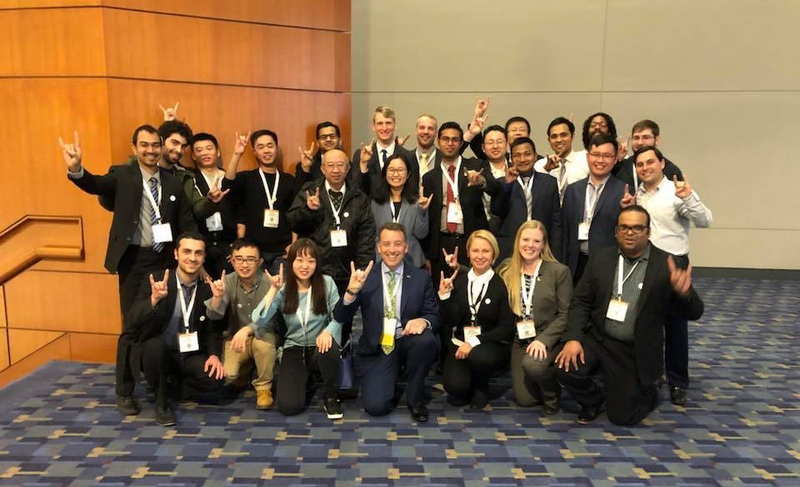 First I want to thank all students, faculty and staff who contributed to a very successful TRB Annual Meeting last month! With nearly 40 CUTR/USF individuals on the program it was impressive to see the many session speakers and posters presented. We had a great reception and alumni reunion and we look forward to continuing to grow our presence at TRB next year. As you know, February is Black Heritage Month and diversity continues to be a very important priority within the CUTR family. I hope you will consider taking part in some of USF’s activities throughout this month, see the Black Heritage Month calendar for more information. The events are open to everyone. 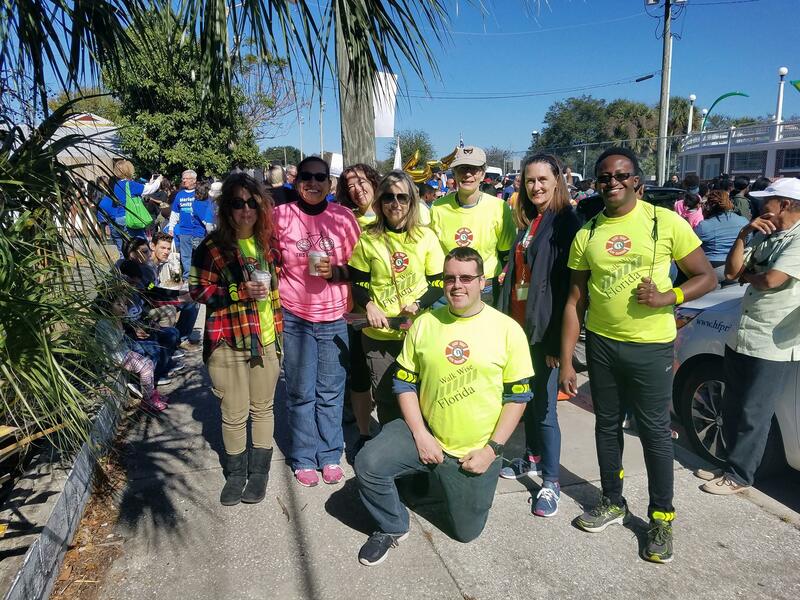 Recently CUTR participated in the Tampa Bay Next parade unit at the Martin Luther King, Jr. Parade in East Tampa to promote multi-modal transportation in the region. We joined organizations from the Florida Department of Transportation (FDOT), Conference of Minority Transportation Officials (COMTO), the Hillsborough County Metropolitan Planning Organization (MPO), and Tampa Bay Regional Transit Authority (TBARTA). Later this month we are excited to welcome a group of students from Middleton High School for a Garrett A. Morgan mentorship day. As you know, many African American professionals have made an impact in the transportation field. There is a presentation on display in the lobby showcasing their contributions that can be found here: African American Transportation. I hope you will have a chance to view it. 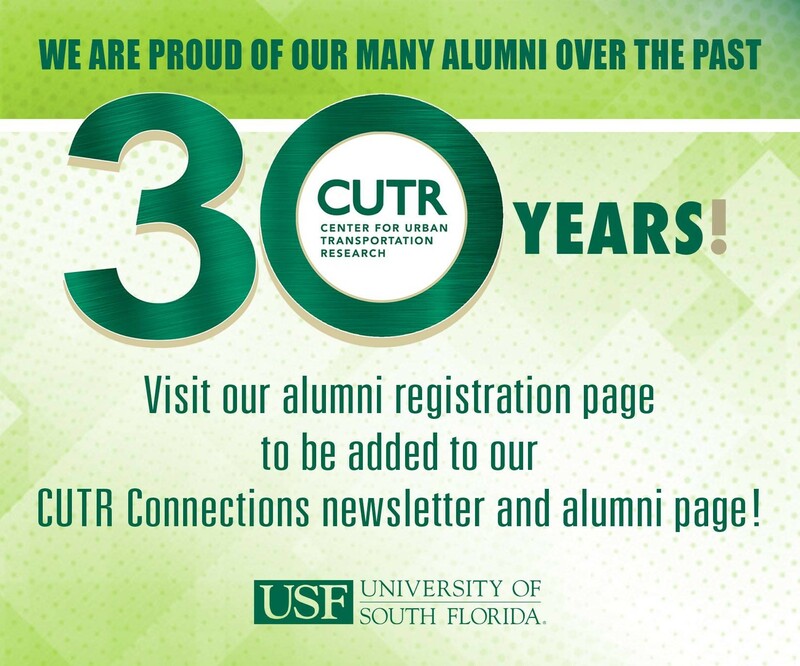 Lastly as we celebrate our 30th we are taking action to connect with our many CUTR Alumni (students, faculty and staff). We need YOUR HELP (especially since I have only been here for 18 months) so please share this CUTR Alumni link with any alumni who you are in touch with and provide their name and contact information to me. We are hoping for a fantastic alumni turnout at our CUTR Awards Event in November. Robert L. Bertini, Ph.D., P.E. 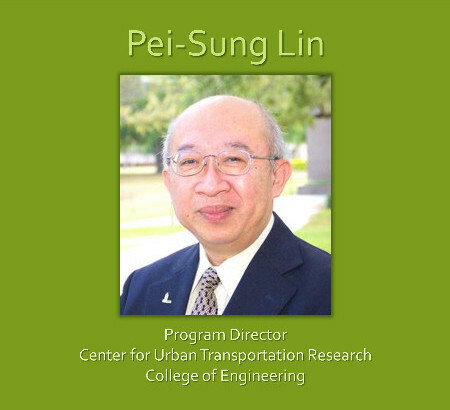 Congratulations to CUTR's Program Director, Dr. Pei-Sung Lin, on his recent outstanding achievements in his field -- International Chinese Transportation Professionals Association Distinguished Service Award and Edward A. Mueller District 10 Transportation Engineer of the Year! 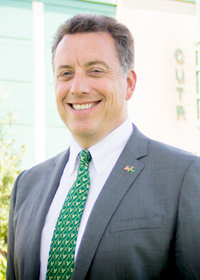 In recognition of these achievements, USF Research & Innovation is featuring him and his accomplishments on the USF CONNECT building Innovation Spotlight Wall screens at Cafe Connect at 3802 Spectrum Boulevard,Tampa. 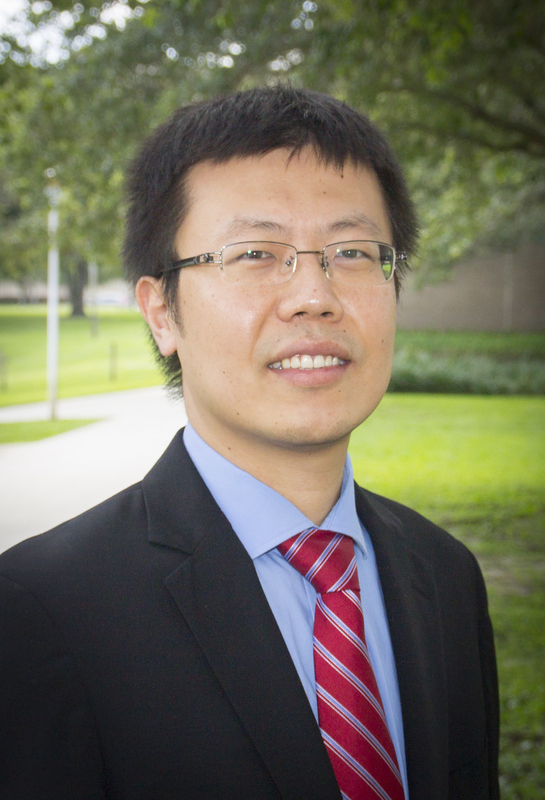 Congratulations to Dr. Cong Chen who was recently hired in a research faculty position with the ITS, Traffic Operations & Safety Program at CUTR! He previously worked in the ITS group as a postdoctoral research scholar since January 2017. He received his Ph.D. degree in transportation engineering from the University of New Mexico in 2015. 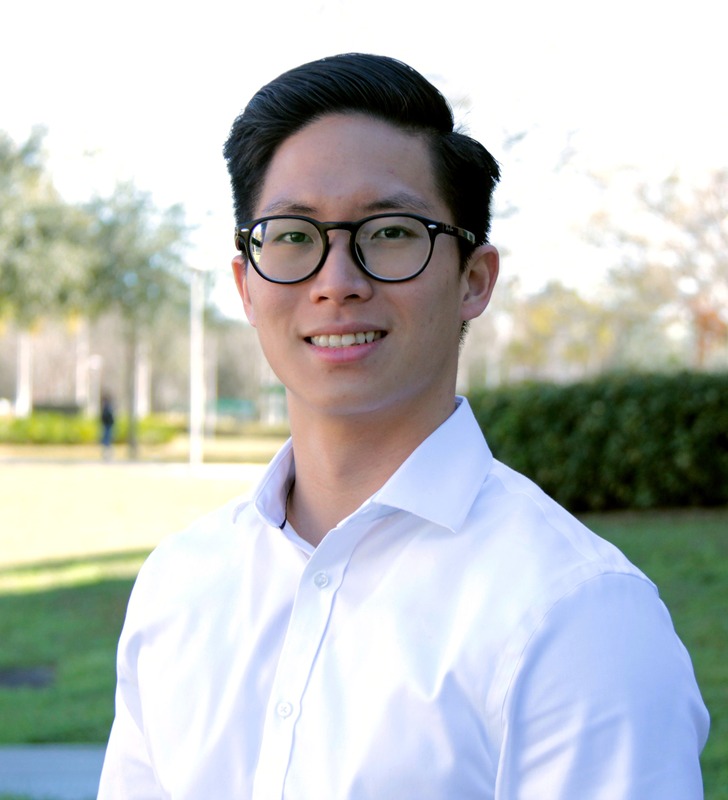 His research focuses on traffic crash modeling and safety analysis, advanced traffic safety model development, pedestrian and bicyclist safety, traffic congestion and operation efficiency, and intelligent transportation systems. 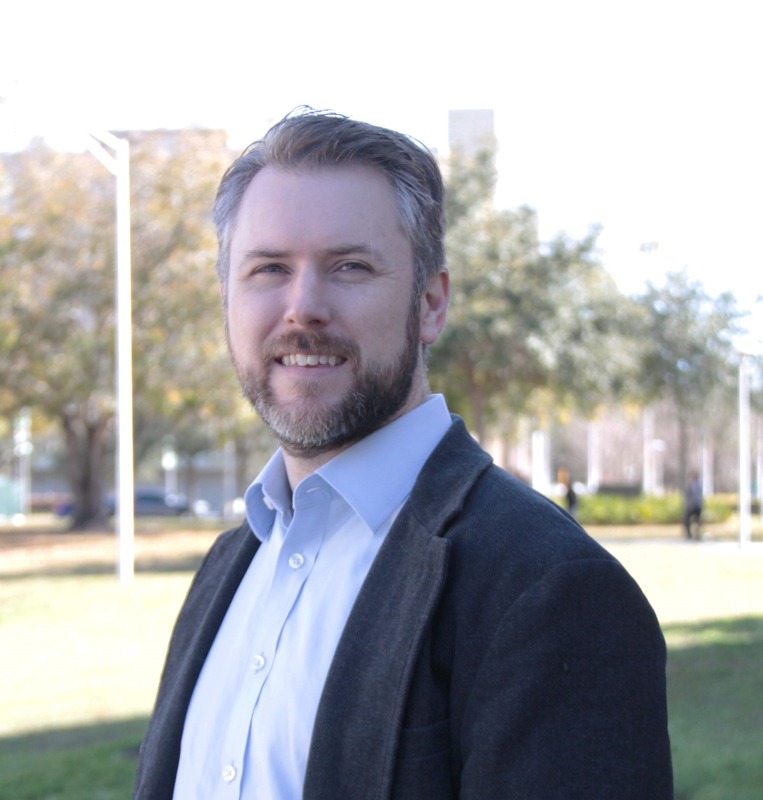 As a research faculty at CUTR, he will be working on a variety of traffic safety related projects focusing on statewide pedestrian and bicycle safety data collection and evaluation, naturalistic driving study, wrong-way driving prevention, automated pedestrian detection, and more. CUTR at the Transportation Research Board (TRB) 2018 Annual Meeting! The Center for Urban Transportation Research (CUTR) at the University of South Florida (USF) was excited to participate in the Transportation Research Board (TRB) 2018 Annual Meeting in Washington, DC held on Sunday, January 7 – Thursday, January 11, 2018. Dr. Robert L. Bertini congratulate NCTR student of the year Richard Driscoll! 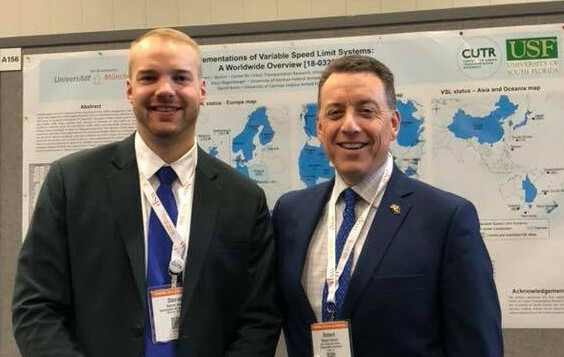 CUTR Director Dr. Robert Robert L. Bertini presents poster with Daniel Kress on variable speed limit systems at the TRB Annual Meeting in Washington, D.C.
Dr. Anurag Pande of Cap Poly SLO and Edward Tang of Nelson\Nygaard at the TRB Annual Meeting. 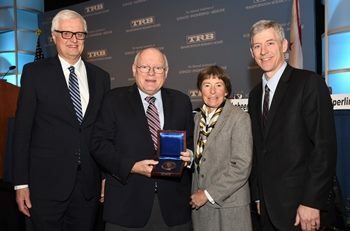 William W. Millar for receiving the TRB Sharon D. Banks Award for Humanitarian Leadership in Transportation! 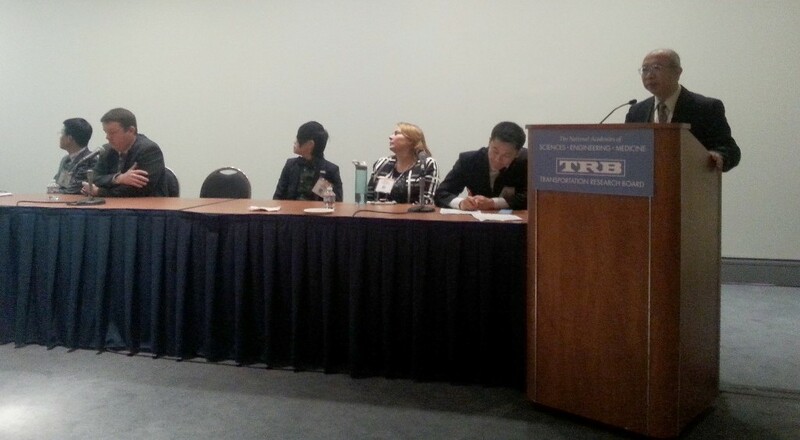 Dr. Pei-Sung Lin (pictured at podium) and Dr. Cong Chen presented, "Investigating Driver Compliance with Pedestrian Features at Signalized Intersections: SHRP 2 Naturalistic Driving Study Data Analysis" at TRB in Lectern Session 552. This paper was co-authored by CUTR faculty: Dr. Pei-Sung Lin, Dr. Cong Chen, Dr. Achilleas Kourtellis, and Dr. Zhenyu Wang; Dr. Rui Guo (Texas Tech University), and Zhao Zhang, CUTR Graduate Research Assistant. 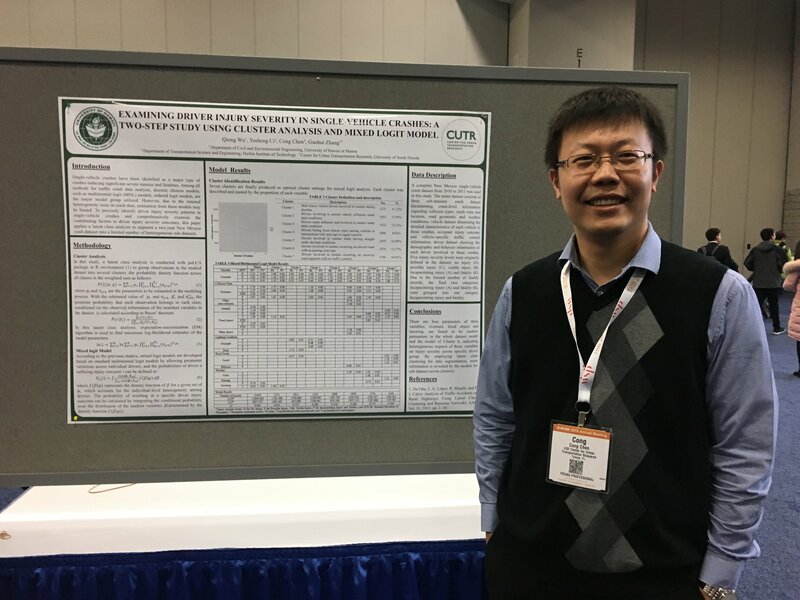 Dr. Cong Chen at his poster presentation entitled “Examining Driver Injury Severity in Single-vehicle Crashes: A Two-step Study Using Cluster Analysis and Mixed Logit Model” (Collaborated with University of Hawaii at Manoa) on January 10, 2018. He had 7 presentations in either lectern or poster format at the TRB 2018 Annual Meeting. 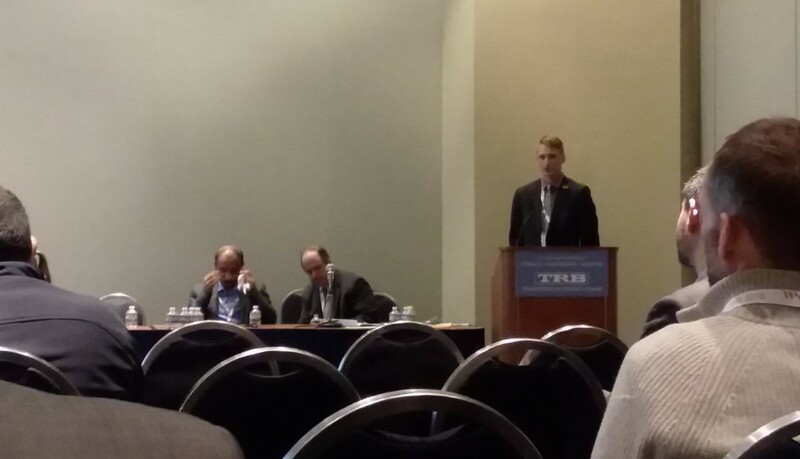 Jodi Godfrey, CUTR Research Associate, presented, “Successful Practices and Training Initiatives to Reduce Bus Accidents and Incidents at Transit Agencies: An Abridged Version of TCRP Synthesis 126” in Lectern Session 556 at TRB. This was a paper co-authored by Lisa Staes, Jennifer Flynn, and Roberta Yegidis. 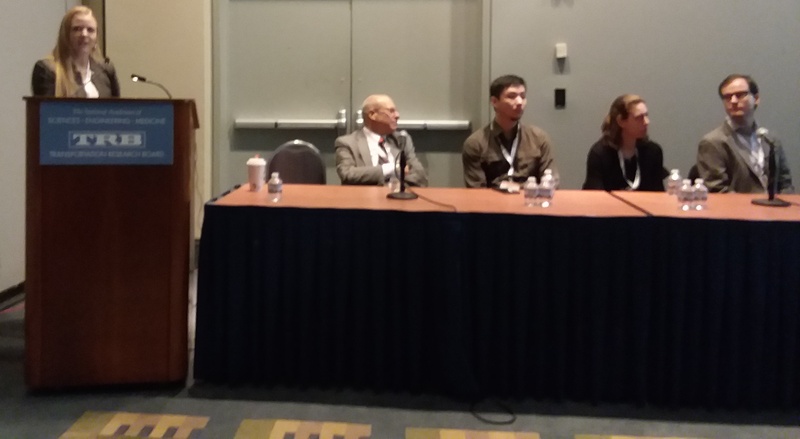 She also presented, “NTD Analysis and Assessing Risk across Person Types” at the Transit Safety and Security Task Force Meeting at TRB on Tuesday afternoon. 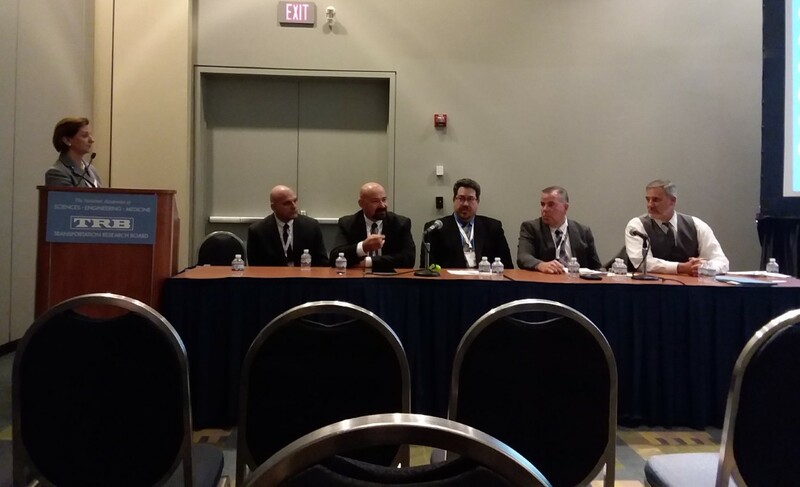 Stephen Berry, Deputy Program Director, Transit Safety and Workforce Development at CUTR was on the panel (pictured far right) and made a presentation, “The Pulse Shootings” in Workshop 184 at TRB. 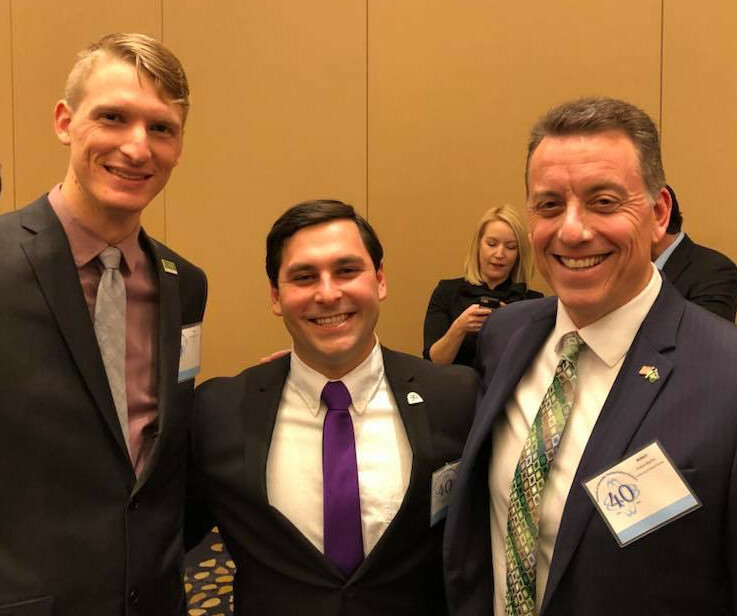 Tampa Bay Clean Cities Coalition coordinator Alex Kolpakov and co-coordinator Austin Sipiora attended the 100 Best Fleets: Solutions to the Top Ten Fleet Challenges in 2018 and presented on coalition updates and clean transportation funding opportunities. 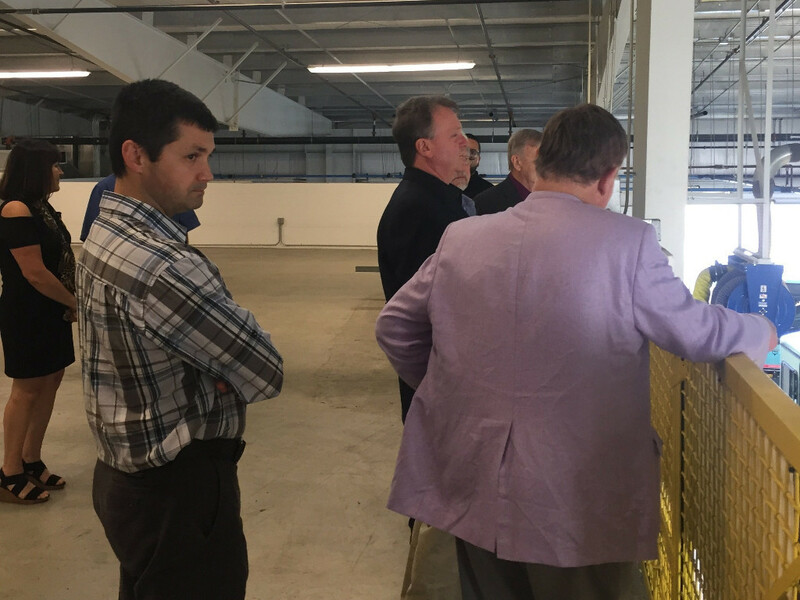 Following the workshop, Manatee County fleet division manager Michael Brennan took attendees on a behind-the-scenes tour of the county’s new 116,000-square-foot transit fleet facility. 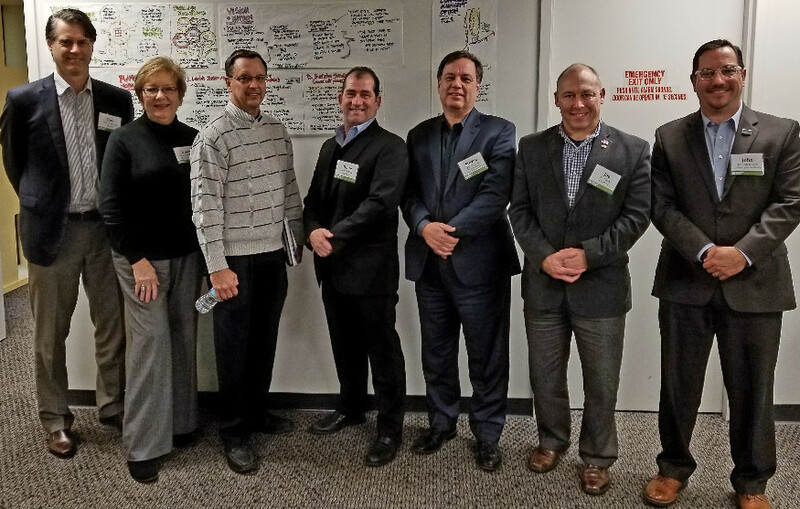 Dennis Hinebaugh, Program Director, National Bus Rapid Transit Institute and Steve Polzin, Program Director, Mobility Policy Research at CUTR served on the Technical Advisory Panel (TAP), which was sponsored by the Urban Land Institute - North Florida. They focused on exploring station area planning and transit oriented development around a proposed bus rapid transit line being developed by the Jacksonville Transportation Authority (JTA), They spent Tuesday, January 30th and Wednesday, January 31st in Jacksonville serving on the advisory panel and briefing senior staff at JTA. Hello, My name is Juan Battle, I am the new Transit Development Manager of the CUTR Transit Safety and Workforce Development team working under Stephen Berry, Deputy Director. I hold over twenty-eight years of progressively responsible experience in public transportation operations, customer services, employee development, training, and labor relations. My responsibilities will include all training related activities in the department. I grew up in Indianapolis, Indiana and served in the United States Air Force. I received my Master's degrees from Indiana Wesleyan University. My wonderful wife Jessica and I moved to Florida three years ago. In my spare time, I enjoy visits from grandchildren, traveling, and playing golf. Hello! 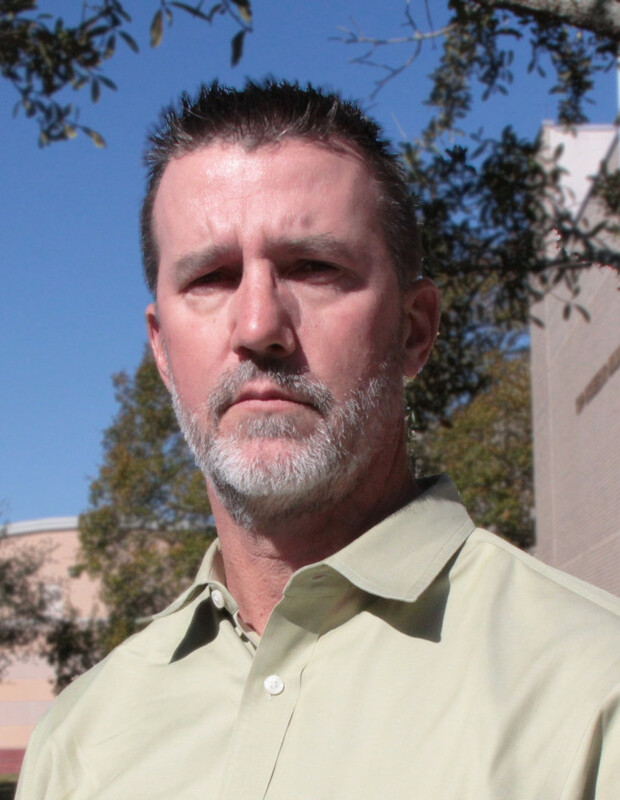 My name is Stephen Wachtler. I have been working in maintenance and maintenance management for over 30 years. I served 20 years in the United States Army and after retiring to NJ, worked for 8 years as a civil servant. 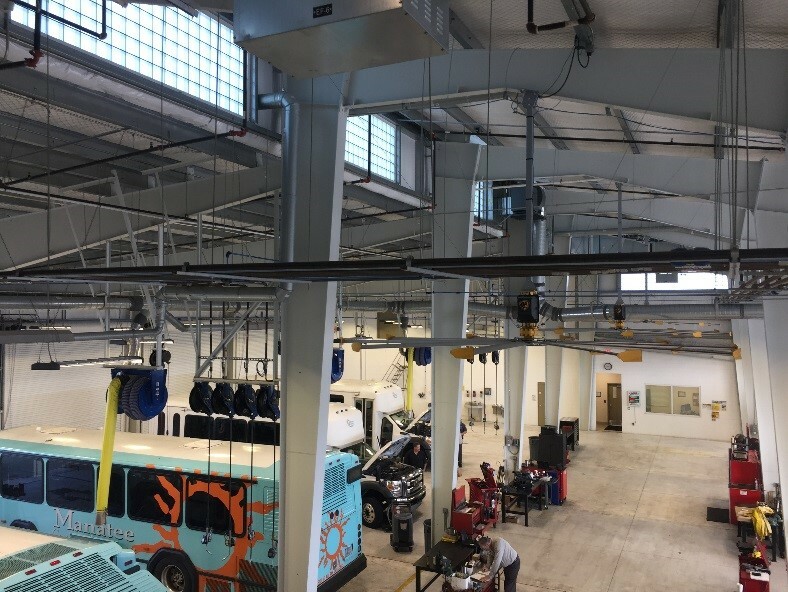 In 2014 I moved to Orlando, Florida and began working as a Manager of Vehicle Maintenance at LYNX, the local Transit Agency. I just started working at CUTR as the Transit Maintenance Analysis and Resource Center (TMAARC) Manager, reporting to Lisa Staes. I am an avid golfer and fisherman. My wife Tara and I have a 24-year-old son, Bryan, who is currently serving in the US Army and is stationed in Homestead, FL. My name is David S. Lamb and I recently graduated from the doctoral program in Geography at the School of Geosciences at USF. My dissertation focused on understanding the spread of infectious disease in urban areas using social media data. My research interests are in GIS-based quantitative methods, particularly using machine learning algorithms, applied to understanding medical geography problems. I have 20 years of GIS and CAD experience, working as a GIS analyst for different environmental consulting firms, including Python development. I will be working with Dr. Chanyoung Lee and will be assisting with the research of several projects on motorcycle crashes. I look forward to meeting everyone and finding further opportunities for collaboration. 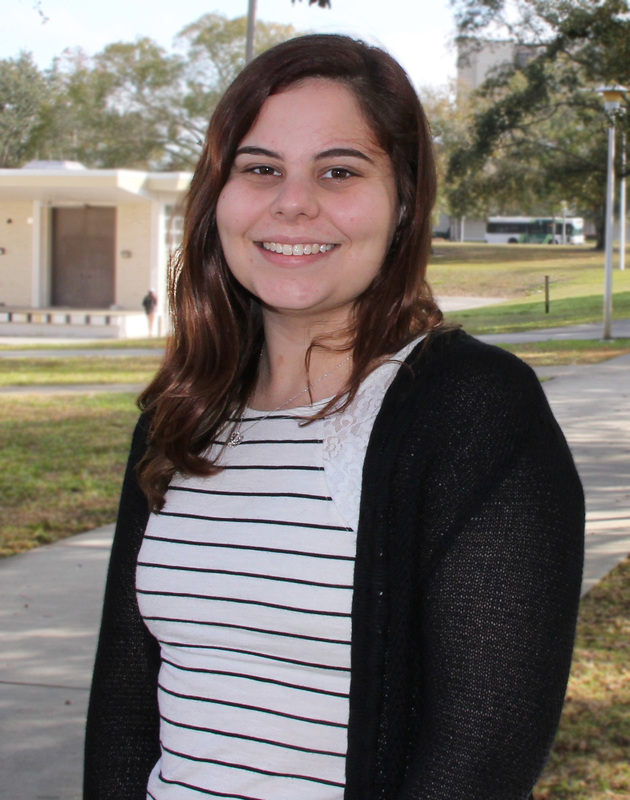 My name is Taylor LaSure and I am a graduate student pursuing a Masters of Public Health with a concentration in policies and programs here at USF. I come here after most recently working with Hillsborough County on improving their ‘Healthy Living Program’ within the newly developed community resource centers. I will be working under the supervision of Dr. Si Won Jang and will be assisting with the research of several projects within the Motorcycle Injury Prevention Institute. I look forward to meeting everyone and working together as part of the CUTR family this year! My name is Sheng Ruei Lin and I am an undergraduate student majoring in Accounting. I previously worked for Dr. Pei-Sung Lin and Dr. Achilleas Kourtellis in the ITS, Traffic Operations and Safety group by participating in the Pedestrian and Bike Data collection and the promotional events. I continue to work in the same group under the direction of Kristin Larsson as a program assistant. It is a pleasure working here and I look forward to meeting everyone at CUTR. My name is Nicole Tremblay. 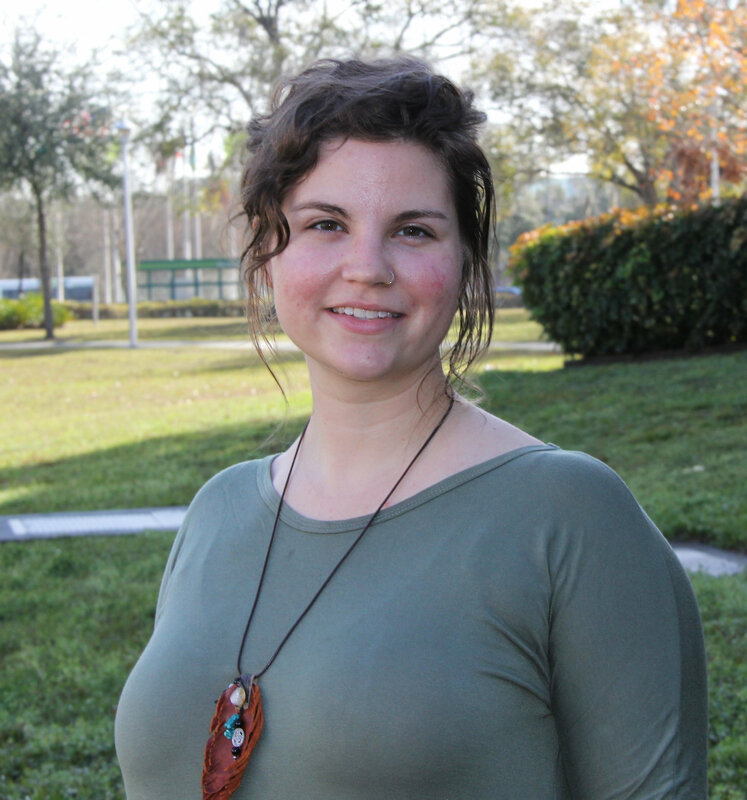 I have a Bachelor's in Psychology from Amherst College and am now a graduate student at USF, pursuing my Master's degree in Urban and Regional Planning. 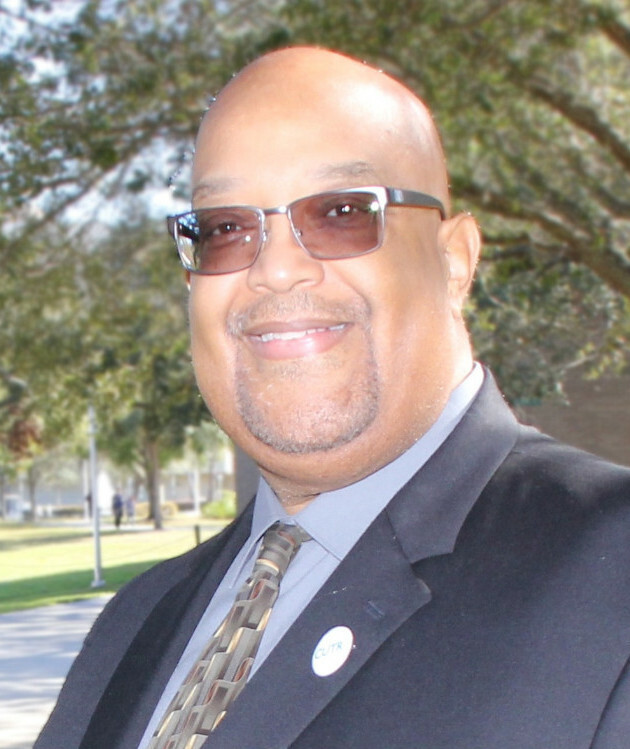 My primary interests include community development and public health, and I currently work as a strategic planning specialist for the Community Redevelopment Agency in Palmetto, FL. 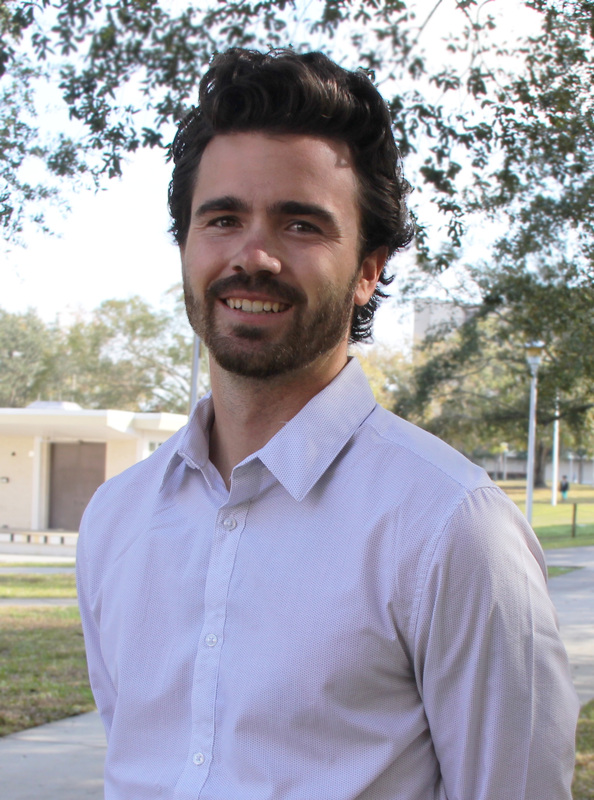 I'm also a researcher with USF's School of Public Affairs examining local-scale economic development and Local First movements. I will be working with Kristine Williams and Jeff Kramer in the Planning and Corridor Management group here at CUTR as I complete my degree, beginning with a project on best practices in the public involvement component of transportation planning. 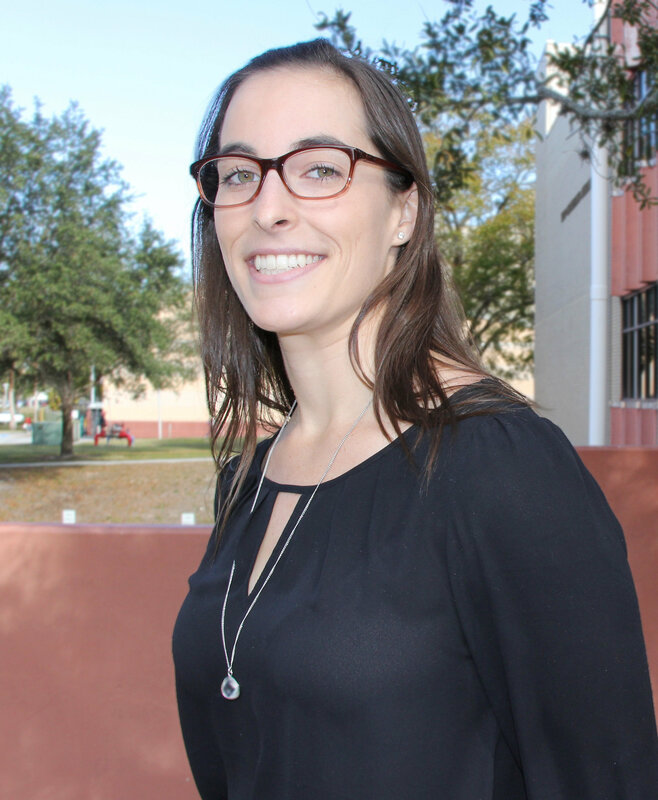 My name is Rebecca Liller and I am pursuing my Master of Public Health degree with a concentration in Behavioral Health. I have a Bachelor of Science degree in Psychology from Saint Leo University. I have recently been accepted to the Institute for Translational Research and Adolescent Behavioral Health. Through this Institute I will acquire the Certificate in Translational Research in Adolescent Behavioral Health. My research interests are in mental health, specifically, traumatic brain injuries. In 2017 I had my first article published in the Journal of Scientific Psychology on multiple sclerosis and cognitive functioning. I will be working with CUTR under the supervision of Jason Jackman in the ITS group on several data analysis projects including organizational behavior and structure of entities involved in the transportation decision-making process or development of the transportation system. I am very excited to be joining CUTR! My name is Maxat Alibayev, but you may call me Max. 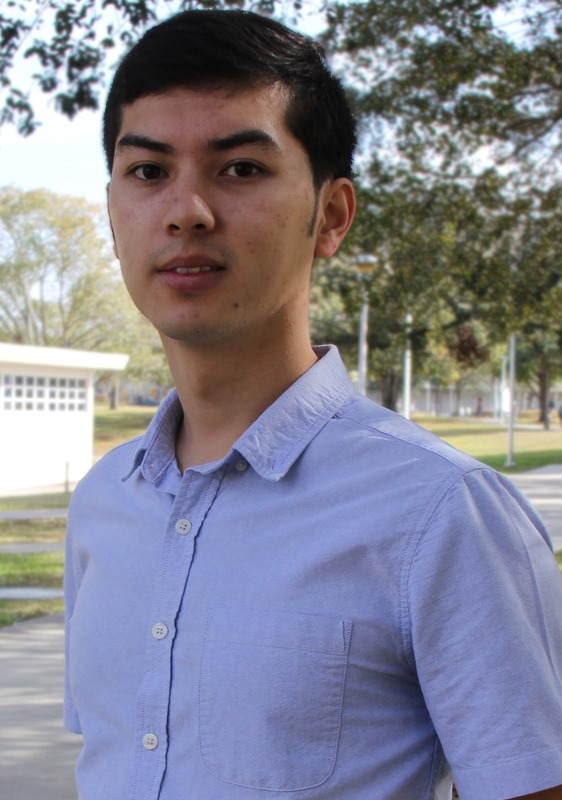 I’m an undergraduate student from the College of Computer Science and Engineering at USF. I will move to the graduate program at USF later this year. I will work with Dr. Jay Ligatti and Dr. Sean Barbeau on the TDM team for the next 18 months. We will investigate the cybersecurity of public transportation system in Florida and look for the ways to enhance it. We will start by identifying and mitigating the liabilities of current transportation cybersecurity. I hope that our work will help public transportation companies improve their services and keep information about them and their passengers save. I am very delighted with the opportunity to work for the Center for Urban Transportation Research. Copyright © 2018 Center For Urban Transportation Research, All rights reserved.